This oblique view of the lower mound in Gale Crater shows layers of rock that preserve a record of environments on Mars. Here, orbiting instruments have detected signatures of both clay minerals and sulfate salts, with more clay minerals apparent in the foreground of this image and fewer in higher layers. This change in mineralogy may reflect a change in the ancient environment in Gale Crater. Mars scientists have several important hypotheses about how these minerals may reflect changes in the amount of water on the surface of Mars. The Mars Science Laboratory rover, Curiosity, will use its full suite of instruments to study these minerals to provide insights into these ancient Martian environments. These rocks are also a prime target in the search for organic molecules since these past environments may have been habitable -- able to support microbial life. Scientists will study how organic molecules, if present, vary with mineralogical variations in the layers to understand how they formed and what influences their preservation. 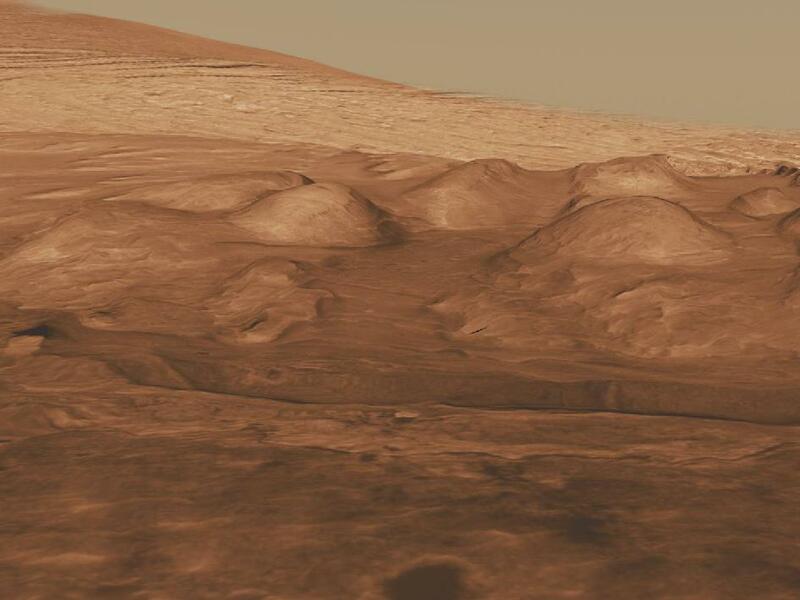 The smaller hills in this view may provide clues to the modern water cycle on Mars. They contain sulfate salts that have water in them, and as temperatures warm into summer, some of that water may be released to the atmosphere. As temperatures cool, they may absorb water from the atmosphere. The Mars Science Laboratory team will investigate how water is exchanged between these minerals and the atmosphere, helping us understand Mars' modern climate. The hills are particularly useful for this investigation because different parts of the hills are exposed to different amounts of sunlight and thus to different temperatures. Curiosity will be able to compare the water in these contrasting areas as part of its investigations. This three-dimensional perspective view was created using visible-light imaging by the High Resolution Imaging Science Experiment camera on NASA's Mars Reconnaissance Orbiter and the High Resolution Stereo Camera on the European Space Agency's Mars Express orbiter. Three-dimensional information was derived by stereo analysis of image pairs. The vertical dimension is not exaggerated. Color information is derived from color imaging of portions of the scene by the High Resolution Imaging Science Experiment camera. The Mars Science Laboratory spacecraft is being prepared for launch on Nov. 25, 2011. In a prime mission lasting one Martian year -- nearly two Earth years -- after landing, researchers will use the rover's tools to study whether the landing region has had environmental conditions favorable for supporting microbial life and for preserving clues about whether life existed. WASHINGTON -- NASA will host a news conference on Monday, Aug. 1, at noon EDT, to discuss the Dawn spacecraft's successful orbit insertion around Vesta on July 15 and unveil the first full-frame images from Dawn's framing camera. The news conference will be held in the Von Karman auditorium at NASA's Jet Propulsion Laboratory (JPL), 4800 Oak Grove Dr., Pasadena, Calif. Journalists also may ask questions from participating NASA locations or join by phone. To obtain dial-in information, journalists must contact JPL's Media Relations Office at 818-354-5011 by 8 a.m. PDT on Aug. 1. NASA Television and the agency's website will broadcast the event. It also will be carried live on Ustream, with a live chat box available, at http://www.ustream.tv/nasajpl2. Although Dawn is collecting some science data now, the mission's intensive collection of information will begin in early August. Observations of the giant asteroid Vesta will provide unprecedented data to help scientists understand the earliest chapter of our solar system. Dawn is the first spacecraft to orbit an asteroid in the main asteroid belt between Mars and Jupiter. After spending one year orbiting Vesta, Dawn will travel to a second destination, the dwarf planet Ceres, and arrive there in February 2015. For more information about Dawn, visit http://www.nasa.gov/dawn. For NASA TV streaming video, downlink and schedule information, visit http://www.nasa.gov/ntv. Preparations are underway to begin integration of the Orion Multi-Purpose Crew Vehicle Launch Abort System (foreground) with the Crew Module (background) for acoustical testing. The tests will be conducted in the Reverberant Acoustics Laboratory at the Lockheed Martin Waterton facility near Denver, Colorado. The Orion stack will be exposed to a series of acoustic tests of increasing decibels that simulate the sound pressure levels that the vehicle will encounter during launch. Washington – U.S. Customs and Border Protection is honored to announce the selection of Christopher Milowic, director of the Land Border Integration Branch, Passenger Systems in the agency's Office of Information and Technology, as winner of the 2011 TechAmerica Foundation Program Manager of the Year Award. Milowic won the award at this year’s 9th Annual Technology and Government Dinner held in Washington. Hundreds of tech industry, congressional and government leaders came together to celebrate partnership between industry and the government. TechAmerica Foundation is considered to be a leading voice and resource for the U.S. technology industry and educates government and industry leaders on technological innovations. Nominated for his dynamic work on the innovative Western Hemisphere Travel Initiative, Milowic was selected by a panel of industry experts and technology companies. WHTI was the first fully implemented 9/11 Commission border recommendation, designed to enhance border security while facilitating lawful cross- border travel through the use of technology between the U.S., Canada and Mexico. Milowic successfully handled all technical aspects of this major undertaking in close coordination with the CBP Office of Field Operations, developing innovative applications for the improved identification of travelers and expanding safe and secure travel for all legitimate travelers throughout the world. The WHTI program involved the deployment of radio frequency identification, license plate reader technology, and associated information technology infrastructure to CBP land border ports of entry. More than 400 lanes of WHTI equipment were deployed to ports nationwide under a very aggressive development, test and installation schedule. A major component of WHTI was the introduction of radio frequency identification travel documents such as enhanced drivers licenses, U.S. passport cards and U.S. border crossing cards. This important program also included the development and deployment of the Vehicle Primary Client software application, which provides CBP officers with a modern, highly productive interface to present traveler data obtained from RFID and license plate readers and performs queries against secure CBP and other agency databases. This application rapidly completes the screening of travelers and vehicles crossing the land border for increased security while not impacting wait times. 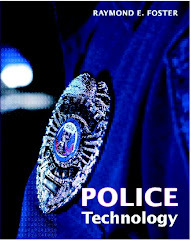 The CBP Office of Technology is responsible for agency software development, infrastructure service and support, tactical communications, research and development functions and IT modernization initiatives that support CBP. CAPE CANAVERAL, Fla. -- NASA's Juno spacecraft completed its last significant terrestrial journey on Wednesday, with a 15-mile (25-kilometer) trip from Astrotech Space Operations in Titusville, Fla., to its launch pad at the Cape Canaveral Air Force Station. The solar-powered, Jupiter-bound spacecraft was secured into place on top of its rocket at 10:42 a.m. EDT (7:42 a.m. PDT). Juno will arrive at Jupiter in July 2016 and orbit its poles 33 times to learn more about the gas giant's interior, atmosphere and aurora. "We’re about to start our journey to Jupiter to unlock the secrets of the early solar system," said Scott Bolton, the mission's principal investigator from the Southwest Research Institute in San Antonio. "After eight years of development, the spacecraft is ready for its important mission." Now that the Juno payload is atop the most powerful Atlas rocket ever made -- the United Launch Alliance Atlas V 551 -- a final flurry of checks and tests can begin and confirm that all is go for launch. The final series of checks begins Wednesday with an on-pad functional test. The test is designed to confirm that the spacecraft is healthy after the fueling, encapsulation and transport operations. "The on-pad functional test is the first of seven tests and reviews that Juno and its flight team will undergo during the spacecraft's last 10 days on Earth," said Jan Chodas, Juno's project manager at NASA's Jet Propulsion Laboratory (JPL) in Pasadena, Calif. "There are a number of remaining prelaunch activities that we still need to focus on, but the team is really excited that the final days of preparation, which we’ve been anticipating for years, are finally here. We are ready to go." The launch period for Juno opens Aug. 5, 2011, and extends through Aug. 26. For an Aug. 5 liftoff, the launch window opens at 11:34 a.m. EDT and remains open through 12:43 EDT. JPL manages the Juno mission for principal investigator Scott Bolton. The Juno mission is part of the New Frontiers Program managed at NASA's Marshall Space Flight Center in Huntsville, Ala. Lockheed Martin Space Systems of Denver built the spacecraft. Launch management for the mission is the responsibility of NASA's Launch Services Program at the agency’s Kennedy Space Center in Florida. JPL is a division of the California Institute of Technology in Pasadena. More information about Juno is available at http://www.nasa.gov/juno and http://missionjuno.swri.edu. In December 2010 the U.S. Congress passed the America Competes Reauthorization Act, providing agencies with broad authority to conduct prize competitions as called for in President Obama’s 2010 Strategy for American Innovation. The America Competes Reauthorization Act gives agencies a simple and clear legal path to conduct prize competitions, thereby dramatically lowering barriers for agencies to use prizes to spur innovation, solve tough problems and advance their core mission. The National Defense University and the Center for Technology and National Security Policy (NDU-CTNSP) announce the Humanitarian Assistance and Disaster Relief Challenge (HADR-C) under the America Competes Act! The kit satisfies all operational requirements as defined by DOD, and delivers more capability than is required by other user organizations. However, the JCTD kit is bigger, heavier and more costly than some user organizations can accommodate. Interested individuals and organizations are invited to design a kit for use in Humanitarian Assistance and Disaster Relief (HA/DR) situations. The kit will be suitable for initial HA/DR response activities by US government departments and agencies, as well as by non-governmental organizations (NGOs) and foreign governments. The kit and all its components must not be subject to export control restrictions and should, if possible, cost no more than US$50,000 and weigh no more than 500 LBS. All interested Competitors must submit an HADR-Challenge Submission Packet via the DOD’s Challenge.Gov platform no later than 15 August 2011. All submissions and competitors must address the HADR Challenge Design Parameters and adhere to eligibility requirements outlined in the announcement. The HADR-Challenge runs from 6 July 2011 through 15 August 2011. Announcement of the Challenge winner will be made on 31 August 2011. The total financial award for the winner of the HADR-Challenge is $10,000. Visit Challenge.gov now for details on this challenging and exciting opportunity! WASHINGTON -- The flow of hot gas toward a black hole has been clearly imaged for the first time in X-rays. The observations from NASA's Chandra X-ray Observatory will help tackle two of the most fundamental problems in modern astrophysics: understanding how black holes grow and how matter behaves in their intense gravity. The black hole is at the center of a large galaxy known as NGC 3115, which is located about 32 million light years from Earth. A large amount of previous data has shown material falling toward and onto black holes, but none with this clear a signature of hot gas. By imaging the hot gas at different distances from this supermassive black hole, astronomers have observed a critical threshold where the motion of gas first becomes dominated by the black hole's gravity and falls inward. This distance from the black hole is known as the "Bondi radius." "It's exciting to find such clear evidence for gas in the grip of a massive black hole," said Ka-Wah Wong of the University of Alabama, who led the study that appears in the July 20th issue of The Astrophysical Journal Letters. "Chandra's resolving power provides a unique opportunity to understand more about how black holes capture material by studying this nearby object." As gas flows toward a black hole, it becomes squeezed, making it hotter and brighter, a signature now confirmed by the X-ray observations. The researchers found the rise in gas temperature begins about 700 light years from the black hole, giving the location of the Bondi radius. This suggests the black hole in the center of NGC 3115 has a mass about two billion times that of the sun, making it the closest black hole of that size to Earth. The Chandra data also show the gas close to the black hole in the center of the galaxy is denser than gas further out, as predicted. Using the observed properties of the gas and theoretical assumptions, the team then estimated that each year gas weighing about 2 percent the mass of the sun is being pulled across the Bondi radius toward the black hole. Making certain assumptions about how much of the gas's energy changes into radiation, astronomers would expect to find a source that is more than a million times brighter in X-rays than what is seen in NGC 3115. "A leading mystery in astrophysics is how the area around massive black holes can stay so dim, when there's so much fuel available to light up," said co-author Jimmy Irwin, also of the UA in Tuscaloosa. "This black hole is a poster child for this problem." There are at least two possible explanations for this discrepancy. The first is that much less material actually falls onto the black hole than flows inside the Bondi radius. Another possibility is that the conversion of energy into radiation is much less efficient than is assumed. Different models describing the flow of material onto the black hole make different predictions for how quickly the density of the gas is seen to rise as it approaches the black hole. A more precise determination of the rise in density from future observations should help astronomers rule out some of these models. NASA's Marshall Space Flight Center in Huntsville, Ala., manages the Chandra program for the agency's Science Mission Directorate in Washington. The Smithsonian Astrophysical Observatory controls Chandra's science and flight operations from Cambridge, Mass. More information, including images and other multimedia, can be found at http://chandra.nasa.gov and http://chandra.si.edu. The health care industry is becoming more and more technical – whether you are transitioning to electronic health records or investing in robotic devices, there is no stopping the growing field of healthcare IT. Whether you invest in technology to save costs or the ability to better track clinical outcomes, Health IT is happening. • What to do with old or retired equipment ? and what you need to do to ensure electronic files don’t ‘walk away’ from hospitals or large practices. We’ll also look at solutions for mitigating and protecting against these risks. ** We will return to our regularly scheduled program time on Thursdays at 4 PM EST on Thursday, August 4th. ** Technology Today is now on the BlogTalkRadio network – the online home for Internet Radio! Technology Today continues to air on Thursdays at 4PM and you can still reach us by phone, email, texts to 240-731-0756, facebook, and on Twitter. Our new call-in number is (323) 410-0032. Our new show page is http://www.blogtalkradio.com/technologytoday. Please contact Sandra Schwartzman at (301) 230 – 0045 x 100 or sschwartzman@rmr.com with any questions or if you’d like to be connected to the Host of Technology Today, Ajay Gupta. CAPE CANAVERAL, Fla. -- NASA's Juno spacecraft is set to launch toward Jupiter aboard a United Launch Alliance Atlas V rocket on Aug. 5. The launch window extends from 11:34 a.m. to 12:33 p.m. EDT, and the launch period extends through Aug. 26. The spacecraft is expected to arrive at Jupiter in 2016 on a mission to investigate the gas giant's origins, structure, atmosphere and magnetosphere. Juno's color camera will provide close-up images of Jupiter, including the first detailed views of the planet's poles. -- Jan Chodas, Juno project manager, Jet Propulsion Laboratory, Pasadena, Calif.
-- Clay Flinn, Atlas V launch weather officer, 45th Weather Squadron, Cape Canaveral Air Force Station, Fla.
-- Jack Connerney, Juno Instrument lead, NASA's Goddard Space Flight Center, Greenbelt, Md. A news conference will be held at the Kennedy News Center approximately 2.5 hours after launch, and a news release will be issued as soon as Juno's condition is determined. Spokespersons will be available for interviews. To cover the media events, journalists must complete the online accreditation process at https://media.ksc.nasa.gov/. Accreditation for U.S. reporters must be received by 5 p.m. on Tuesday, Aug. 2. Journalists may obtain their NASA access badge at the Kennedy Badging Office located near Gate 3 on State Road 405, just past the Kennedy Space Center Visitor Complex. Two forms of government issued identification, one with photo, are required to receive an access badge. Kennedy's Badging Office hours are 6 a.m. to 3 p.m. Monday through Friday. For more information about accreditation, contact Laurel Lichtenberger at 321-867-4036. Journalists who are foreign nationals may attend the Juno launch and the prelaunch news conference if they possess a white machine badge with a green dot or a permanently issued NASA media accreditation badge from Kennedy. Aug. 4: Media opportunity to observe rollout of the Atlas V rocket from the Vertical Integration Facility to the launch pad. Journalists should be at the Kennedy press site at 7:15 a.m. for transportation to the viewing location near Launch Complex 41. Aug. 4: To set up remote sound-activated cameras at the Atlas V launch pad, photographers will taken to Launch Complex 41. Journalists should meet in the parking lot at the Kennedy Press Site at 12:30 p.m.
Aug. 5: Journalists will cover the Juno launch from the Kennedy Press Site. Access will be through Gate 2 on State Road 3 or Gate 3 on State Road 405, east of the Kennedy visitor complex beginning at 8 a.m. There will be no access through Gate 1 at Cape Canaveral Air Force Station. Wednesday, Aug. 3: 8 a.m. to 4:30 p.m.
Thursday, Aug. 4: 7 a.m. to 4:30 p.m.
Friday, Aug. 5: 8 a.m. to 4:30 p.m.
On Aug. 3, NASA Television's Media and Education Channels will carry the Juno prelaunch news conference live beginning at 1 p.m. On Aug. 5, NASA TV coverage of the launch will begin at 9 a.m. and conclude after spacecraft separation from the Atlas V occurs approximately 53 minutes and 49 seconds after launch. For NASA TV downlink information, schedule information and streaming video, visit http://www.nasa.gov/ntv. Audio only of the prelaunch press conference and the launch coverage will be carried on 321-867-1220/1240/1260/7135. On launch day, mission audio of launch countdown activities, without NASA TV commentary, will be carried on 321-867-7135 starting at 7 a.m. Launch audio also be available on local amateur VHF radio frequency 146.940 MHz heard within Brevard County. For extensive prelaunch and launch coverage online, visit http://www.nasa.gov. A prelaunch webcast will be streamed at noon on Aug. 7. Live countdown coverage through NASA's Launch Blog begins at 9 a.m. on Aug. 5. Coverage features live updates as countdown milestones occur, as well as streaming video clips highlighting launch preparations and liftoff. For questions about countdown coverage, contact Jeanne Ryba at 321-867-7824. To view the webcast and the blog or to learn more about the Juno mission, visit http://www.nasa.gov/juno. The NASA News Twitter feed will be updated throughout the launch countdown at http://www.twitter.com/nasa. Recorded Juno status reports and launch updates will be available on the Kennedy media phone line starting Monday, Aug. 1 at 321-867-2525. NASA's Jet Propulsion Laboratory manages the Juno mission for the principal investigator, Scott Bolton. The Juno mission is part of the New Frontiers Program managed at NASA's Marshall Space Flight Center in Huntsville, Ala. Lockheed Martin Space Systems built the spacecraft. Launch management for the mission is the responsibility of NASA's Launch Services Program at the Kennedy. WASHINGTON -- The Multilateral Coordination Board (MCB) for the International Space Station partner agencies met Tuesday, July 26, to discuss how to use the space station as a test bed for technologies that will enable missions beyond low Earth orbit. The board will begin identifying several specific technology collaboration initiatives based on possible future missions suggested by the International Space Exploration Coordination Group. These technology developments and demonstrations on the station could support voyages to an asteroid or Mars or the development of lunar habitats. The MCB also discussed efforts to increase station use and reported on the status of standardization efforts for rendezvous and proximity operations, interfaces for replaceable items and payloads and command protocols for spacecraft. The recently released revision of the International Docking Systems Standard can be downloaded at http://www.internationaldockingstandard.com. - The uses of the International Space Station as a national laboratory are growing. Memorandums of understanding are in place between NASA and other U.S. government agencies such as the National Institutes of Health, which is now in its second year of selecting experiments related to human health research. Space Act Agreements also are active with private firms and universities in the areas of vaccine development for bacterial pathogens, gene differentiation for production of new plant cultivars, nanocube scale experiment systems, hyper-spectral imaging for agricultural applications and advanced propulsion technologies. Earlier this month, NASA formally selected the Center for the Advancement of Science in Space for negotiation of a cooperative agreement to stimulate, develop and manage uses of the station by organizations other than NASA. - The Alpha Magnetic Spectrometer has collected more than 2 billion observations of galactic cosmic rays since its launch and installation on the space station in May. The astrophysics instrument is a partnership of hundreds of scientists and sixteen countries led by Nobel laureate Samuel Ting. - Robotic technologies developed by the Canadian Space Agency (CSA) for the station have been used to improve the dexterity of surgeons in fine scale surgery. NASA will be testing a humanoid robot, Robonaut, developed in partnership with General Motors in the coming months. The first test of robotically controlled refueling in orbit, developed jointly by NASA and CSA, launched earlier this month aboard Atlantis' STS-135 flight. - The space station partnership is working to share data from remote sensing instruments mounted on the orbiting outpost and to increase the application of such data to disaster response. The Hyperspectral Imager for the Coastal Ocean has collected more than 3,510 images, providing unprecedented spectral resolution of difficult-to-map coastal waters. The International Space Station Agricultural Camera collected its first images on June 10. Its data is used to assess crop health and rapid changes during the growing season. - NASA's studies of crew health have identified relationships between diet and bone loss that offer important insights for future studies. Recently published data on chemical changes in pharmaceuticals identified that low-dose ionizing radiation in orbit degrades many medications, and that additional development of space-hardy medications will be needed for human spaceflight beyond Earth orbit. - The Russian Federal Space Agency, Roscosmos, continues experiments aimed at human adaptation to future long-term expeditions. Effects of the flight conditions on the cardiovascular system, the respiratory system and bones are being investigated in dedicated medical experiments. Wheat and vegetables are being planted, followed by genetic, microbiological and biochemical tests of the plants. Four different long-duration Russian astrobiology experiments from Expose-R returned after two years of open space exposure. - In addition to astronomical and Earth observations, Japan promotes biotechnological research by analyzing structures of high-quality protein crystals created on the station leading to treatments for muscular dystrophy. Japan also continues experiments related to future long-term human spaceflight missions such as investigating bone loss mechanism, the effects of radiation and countermeasures of those. Scientists have gained insight to the fields of fundamental life and materials science from research conducted in the Kibo laboratory. - With the return of European Space Agency (ESA) astronaut Paolo Nespoli in May, ESA successfully concluded a focal set of research known as the "MagISStra" mission. Recently returned long-duration experiments include: a year-long radiation exposure experiment conducted with Roscosmos, nine different European astrobiology experiments after two years of open space exposure and the CFS-A study of fungi after five months in space. The completion of the ZAG and Otolith experiments by shuttle crew members gives new, unexpected insight into human balance. The Materials Science Laboratory now has the ability to cool rapidly metal alloy samples, with new cartridges expanding its use by the research community. These experiments are being performed in collaboration with the station's international partners. - Educational activities on the station reach thousands of students around the world. In May and June, hundreds of thousands of students watched the adaptation of spiders to a space environment and compared their behavior to spiders in classrooms on Earth through the website BioEdOnline.org. The spiders returned to Earth on Thursday, July 21. Students in the U.S., Europe and Japan had the opportunity to propose investigations for the space station and astronauts conducted the winning activities. The MCB includes senior representatives from NASA, CSA, ESA, Roscosmos and the Japanese Ministry of Education, Culture, Sports, Science and Technology. The MCB meets periodically to ensure coordination of station operations and activities among the partners. The board is working to tabulate station utilization metrics and document accomplishments for a publication to be released by September. For more information about the International Space Station, visit http://www.nasa.gov/station. For more information about the Canadian Space Agency, visit http://www.asc-csa.gc.ca/eng. For more information about the European Space Agency, visit http://www.esa.int/spaceflight. For more information about the Russian Federal Space Agency, visit http://www.federalspace.ru. For more information about Japanese Ministry of Education, Culture, Sports, Science and Technology, visit http://www.mext.go.jp/English. WASHINGTON -- Bryan O'Connor, NASA's chief of safety and mission assurance since 2002, has announced plans to retire from the agency on Aug. 31. "Bryan is a fellow Marine, trusted advisor and friend I have been privileged to serve with off and on since our years as plebes at the U.S. 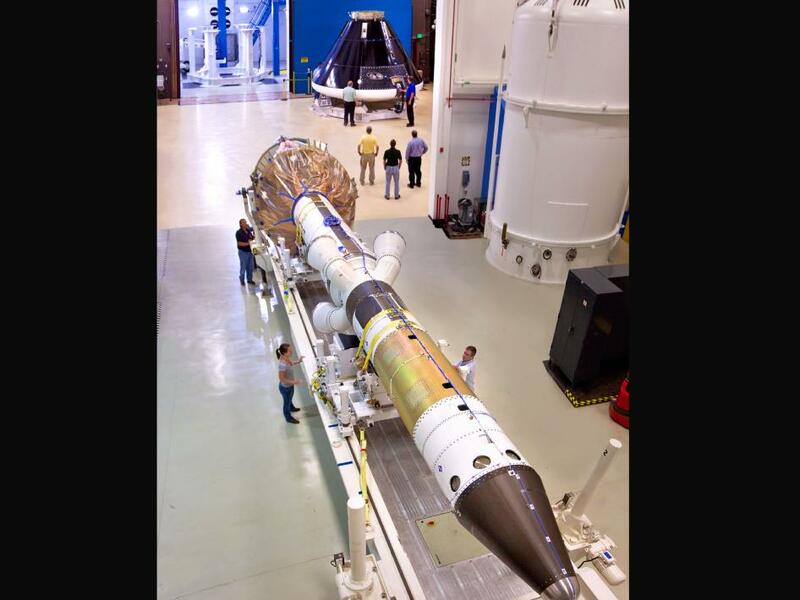 Naval Academy," NASA Administrator Charles Bolden said. "I am deeply grateful for his vigilance over the safety and well-being of NASA's people and its work. His concern and commitment have encompassed not just the space shuttle and the astronaut corps, but every mission, large or small, and every member of the NASA family. He'll be sorely missed." O'Connor announced his plans to members of his staff in NASA's Office of Safety and Mission Assurance on Tuesday. In his current role, he is responsible for the safety, reliability, maintainability and quality assurance of all NASA programs. "Even though good practice suggests shorter tours for senior leaders, I did not want to pass the safety baton until after the STS-135 crew left Atlantis on the runway," O'Connor said. "This transition is a great time to let someone new take on this wonderful role you've permitted me to serve in." Atlantis completed STS-135, the last mission of the space shuttle program, with a landing at NASA's Kennedy Space Center in Florida on July 21. O'Connor held management positions in NASA's space shuttle, International Space Station, and Shuttle-Mir programs, and played prominent safety management roles in the agency's recovery from two space shuttle accidents, the loss of Challenger in 1986 and the loss of Columbia in 2003. Prior to that, he joined NASA's astronaut corps in 1980 and flew two missions aboard the space shuttle. For O'Connor's complete biography, visit http://www.nasa.gov/about/highlights/oconnor_bio.html. For information about NASA and agency programs, visit http://www.nasa.gov. Labels: bryan o'connor, charles bolden, International Space Station, marine corps, nasa, Russian Mir space station. Apollo 15 lunar module pilot Jim Irwin loaded the lunar rover with tools and equipment in preparation for the first lunar spacewalk at the Hadley-Apennine landing site. 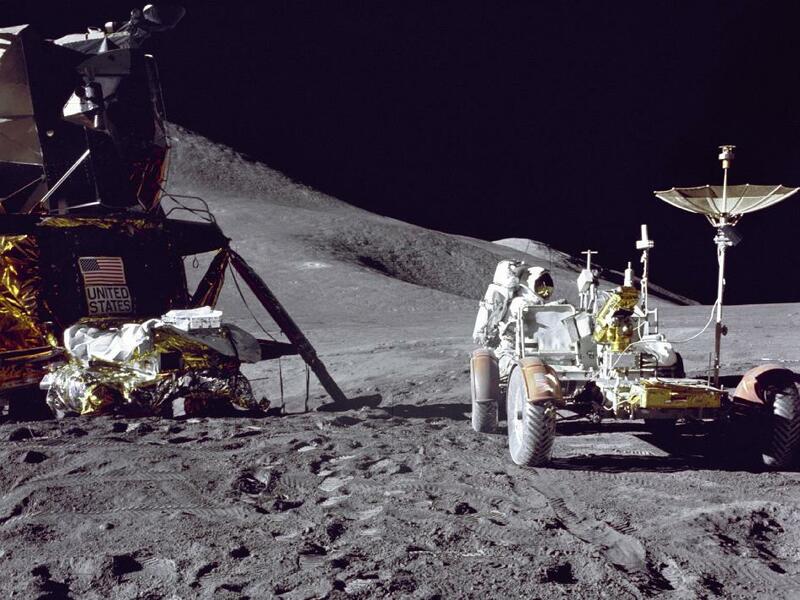 The Lunar Module 'Falcon' appears on the left in this image. The undeployed Laser Ranging Retro-Reflector lies atop Falcon's Modular Equipment Stowage Assembly. Apollo 15 launched 40 years ago today on July 26, 1971, from Launch Pad 39A at the Kennedy Space Center. Documents pertaining to UFO teams, nuclear issues, conflicts, Strategic Air Command, and Combat Search & Rescue are now declassified, along with photos, videos, and other historical artifacts. The Air Force Declassification Office (AFDO) is not only responsible for declassifying Air Force information, but actually publishes a list of physical locations where these items can be found. They’ve also shared a treasure trove of information line that is easily accessible by the public. AFDO has a unique mission – it is responsible for the declassification and safeguarding of classified permanent historical National Security Information documents produced by the Air Force. AFDO is identifying the location boxes of historically significant documents which have been declassified and are located at the National Archives and other sites. The purpose of the Secrets Declassified Web Site is to identify as many records as possible that fall into these categories in an effort to capture more thoroughly the full history of the U.S. Air Force. The Department of Defense today launched a new website http://www.defense.gov/cyber to highlight DoD’s first unified strategy for cyberspace announced on July 14. The website is a tool to help explain and consolidate DoD’s cybersecurity accomplishments and new way forward for military, intelligence and business operations in cyberspace. The new website is designed to help users explore the five pillars of DoD’s cyber strategy: treating cyberspace as an operational domain; employing new defense operating concepts; partnering with the public and private sector; building international partnerships; and leveraging talent and innovation. Additional content includes links to cybersecurity jobs in government, key news items, press releases, and video of discussions on cybersecurity. 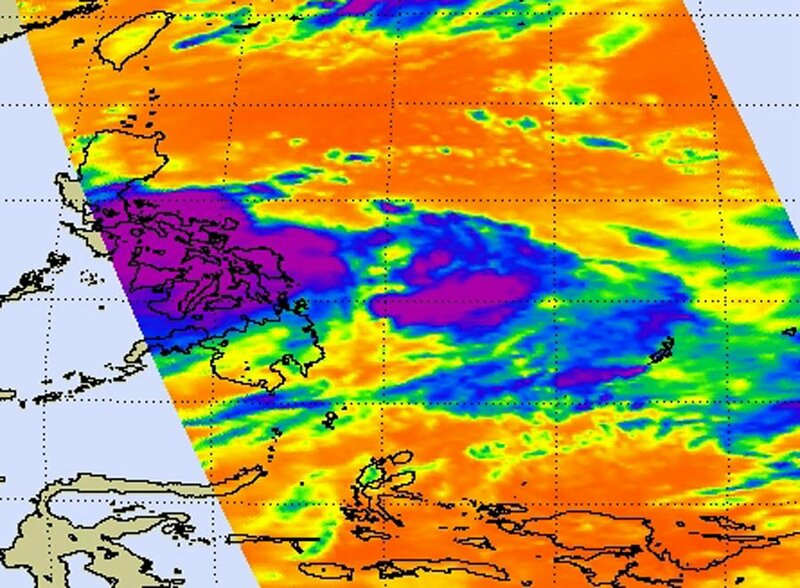 The tenth tropical depression formed in the western North Pacific Ocean this past weekend, and brought rains to the central Philippines as seen on infrared imagery from a NASA satellite. 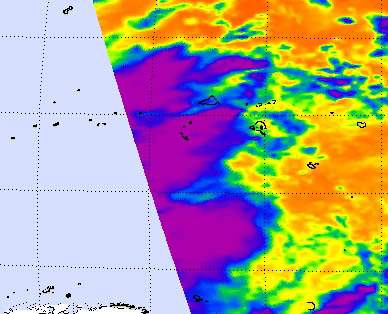 When NASA's Aqua satellite passed over Tropical Depression 10W on July 25 at 0441 UTC (12:41 a.m. EDT), the infrared image captured by the Atmospheric Infrared Sounder (AIRS) instrument revealed a large area of very cold cloud top temperatures (-63F/-52C) from strong thunderstorms over the central Philippines. A second area of strong thunderstorms on the eastern side of circulation was over the Philippine Sea. On July 25 at 0600 UTC (2 a.m. EDT) Tropical Depression 10W's maximum sustained winds were near 30 knots (34 mph/55 kmh). It was about 335 nautical miles (385 miles/ 620 km) east of Manila, Philippines near 13.8 North and 126.4 East. Tropical Depression 10W (TD10W) is moving to the northwest at 9 knots (10 mph/17 kmh). Satellite imagery has shown that the bands of thunderstorms feeding into the center of TD10W's circulation. TD10W continues to become more organized. The system is in an area of low to moderate wind shear which is enabling it to become better organized. At 11 a.m. EDT on July 25, a weather station in Daet, Philippines was reporting thunderstorms and rain, with winds from the west at 11 mph. Daet is the capital municipality in the Camarines Norte province. The local forecast calls for TD10W to affect the city through the day on July 26. The Joint Typhoon Warning Center forecasters expect TD10W to slowly intensify over the next two days and make landfall northeast of Hong Kong later this week. Right after the tenth tropical depression came together in the western North Pacific, the eleventh was born today, July 25 and captured on infrared satellite imagery from NASA. On July 25 at 1500 UTC (11 a.m. EDT), Tropical Depression 11W formed 505 nautical miles south-southeast of Andersen Air Force Base, Guam near 5.6 North and 147.2 East. It has maximum sustained winds near 25 knots and is moving to the west-northwest near 4 knots (5 mph). Infrared imagery from the Atmospheric Infrared Sounder (AIRS) instrument on NASA's Aqua satellite showed that the storm consolidated quickly. Because the depression is in a good environment of low wind shear and warm ocean surface temperatures it is expected to reach typhoon status later this week. Tropical Depression 11W is forecast to move in a west-northwesterly direction and cross between Yap to the south and Andersen Air Force Base to the north. Orient Express Band Supports "America in 3-D"
The Hacktivist's Plan -Will it Work?